Chicago’s speed cameras have been a source of controversy for many in the city, but a recent bill introduced in Springfield hopes to put photo enforcement systems like it on hold. 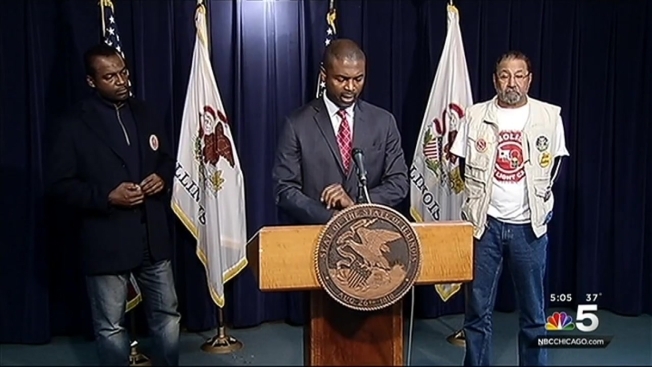 Following a Chicago Tribune investigation, which revealed the city has issued almost $2.5 million in bad speed camera tickets, State Rep. La Shawn Ford called for his colleagues to co-sponsor a bill that would amend the Illinois Vehicle Code to prohibit automatic traffic enforcement systems like Chicago’s speed and red light cameras. “We would turn off the cameras that are existing and there would be no new cameras installed,” he said. Mayor Rahm Emanuel addressed the investigation earlier this week, insisting that the cameras are doing what they are supposed to do and slowing down speeders. Emanuel defended the speed cameras, saying that people receive a warning before they get a ticket. He also said that when people are falsely issued a ticket, their money is refunded, saying, "we have a process to handle that." The analysis done by the Tribune showed that the city must reimburse $2.4 million in bad tickets that were issued when the parks were closed, there was no warning sign or there were no children present at the time. Critics of the speed camera program say it was never about safety, but instead about making money for the city. The busiest camera, located on 127th Street near the Major Taylor Bike Trail, has raised nearly $4 million in fines. “We are asking the city to do the moral and responsible thing and to put a moratorium on this system and get it fixed or take it down,” said Mark Wallace with Citizens to Abolish Red Light Cameras.